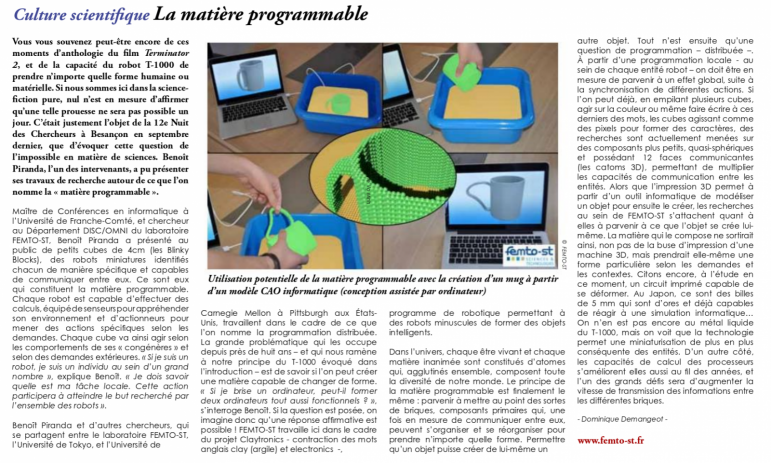 La matière programmable. Published in the October 2017 edition of the Diversions journal. Programmable matter: shape-shifting microbots get it together. Published Monday, May 18, 2015 in Engineering & Technology, The Institution of Engineering and Technology.